Ultra-small (8.2 mm x 11.6 mm) 9-axis motion sensor for all wearable applications. 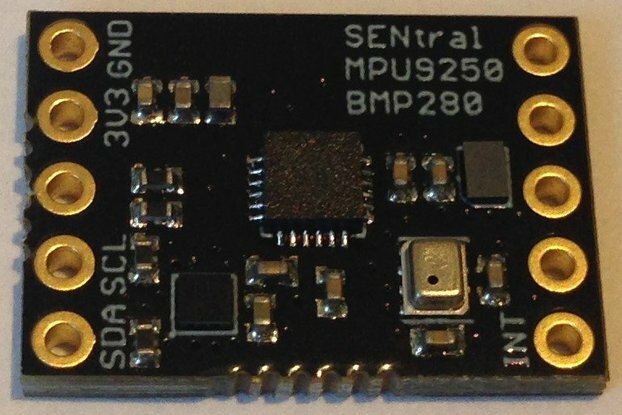 The MPU9250 is a state-of-the-art MEMS motion sensor here in such a small and inexpensive package that multiple sensors can be worn all over the body or distributed about your favorite robot to track motion or respond to gestures, hand claps, finger snaps, and anything you can think of. These sensors have a multifunction interrupt that can be triggered by taps, double taps, accelerations above a threshold, rotation rates above/below a threshold, etc. 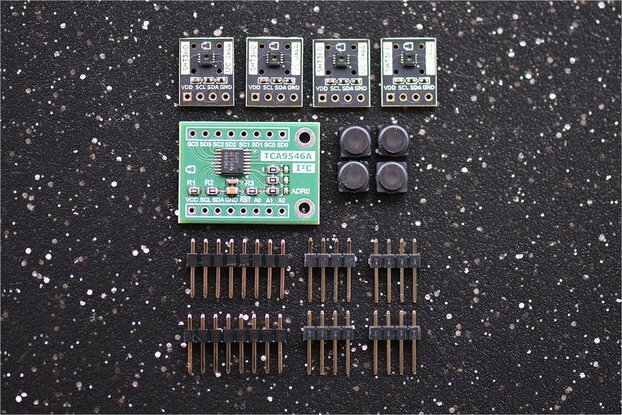 There are so many possible combinations that you could program dozens of unique gesture-controlled actions for the single microcontroller that runs these slave sensors to take. 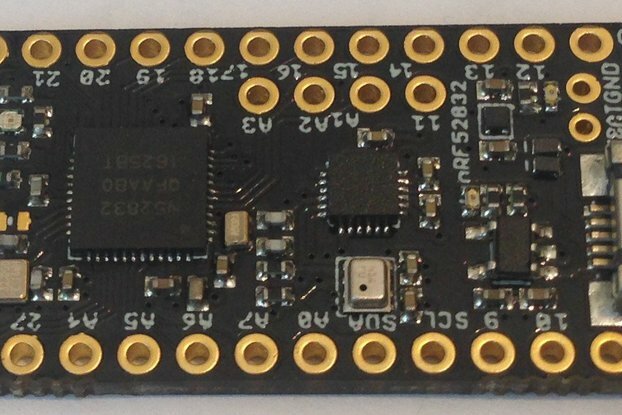 The Nano board has been slightly redesigned again. In addition to the 4K7 pull up resistors populated on the board, I have extended the length a bit to include full plated through holes for easier testing and wire connection. 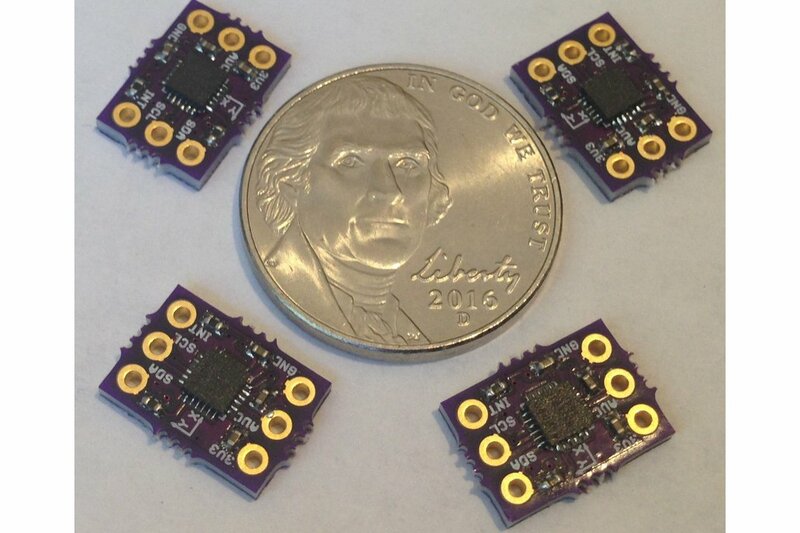 The boards are a little bigger but still ultra-small for all wearable applications. The analog (3V3) and digital (1V8) power pins are now tied together and the I2C address pin (ADO) is broken out so multiples of the boards can be on the same I2C bus without using an I2C multiplexer. 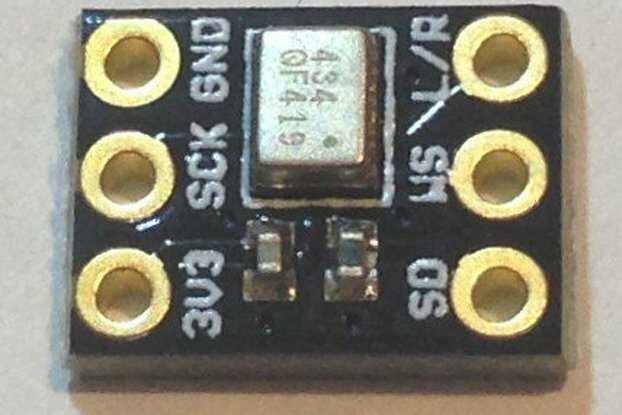 This is NOT a 5 V tolerant sensor so keep the voltages in the proper range (VDD = 2.4 - 3.6 V for analog, VDDIO = 1.71 V - VDD for digital) or use a logic level translator. 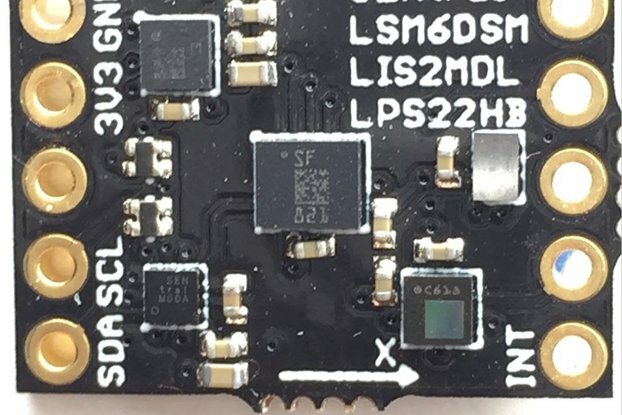 Existing programs are all you need to get the most out of this sensor board. For wearable applications I would solder 30 gauge wire to the appropriate pin pads on each sensor, twist the wires gently to make a single multistranded cord, then add a wrapping of 0.5-inch Kapton tape to insulate and protect the sensor packages before sewing or gluing them into gloves, shirts, pants or whatnot. 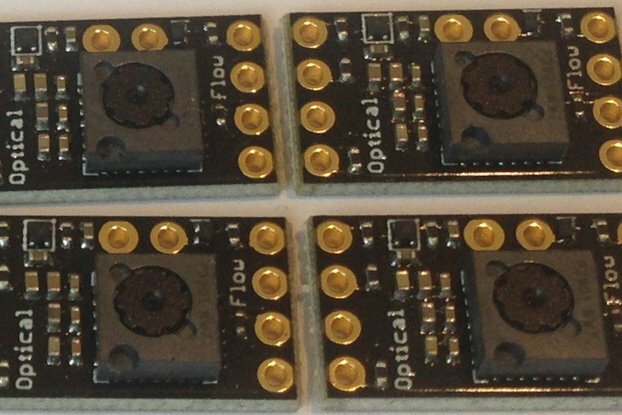 I could package these sensor boards this way but each application is different so I am going to leave it to you to decided how best to package the sensor boards for your application(s). I found that many of my customers want to embed multiple motion sensors to track complicated mechanical motions or actually wear the motion sensors to track body movements and/or use body movements to control lights and sound. Traditional breakout boards are rather large, even the "appallingly small" boards I sell at Tindie. 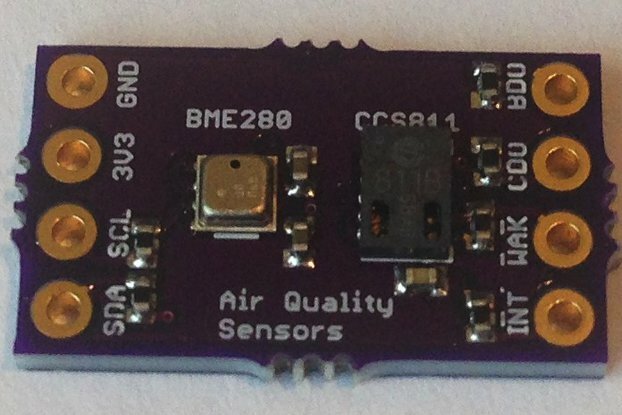 So I decided that an ultra-small board could be useful for these people and anyone else who wants to use multiple motion sensors to track, or control outputs with, movement. 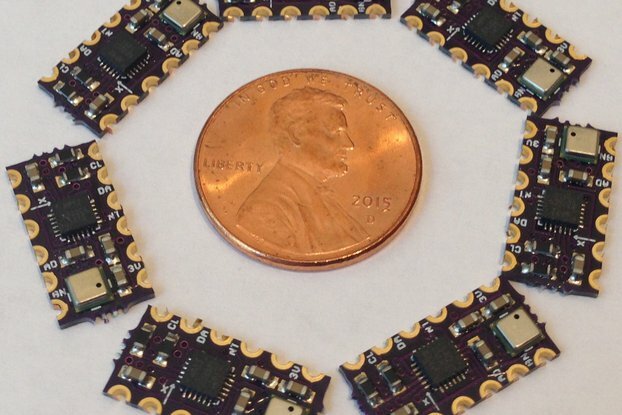 These boards are so very small that a dozen could be worn without encumbering the user. 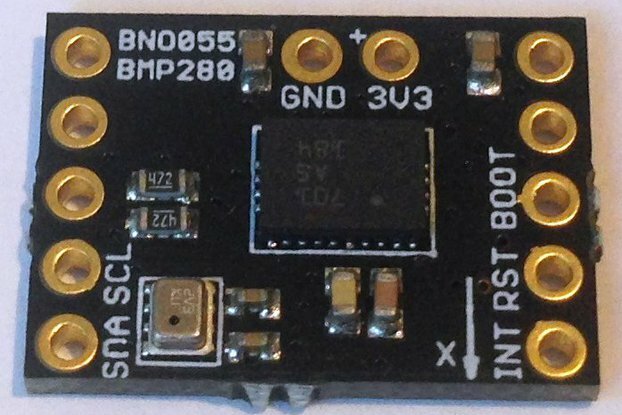 These boards are hard-wired for I2C and the I2C address of the MPU9250 sensor on the Nano board can be changed from 0x68 (ADO = LOW) to 0x69 (ADO = HIGH). This way, one of these Nano boards could serve as an auxiliary to a more conventional Mini or Micro add-on board whose default I2C address is 0x68 (there are only two choices!). But multiples of the Nano board can also be useful to track more complicated motions, especially those of the human body. So, how can multiple sensors with the same I2C address be controlled by the same microcontroller? 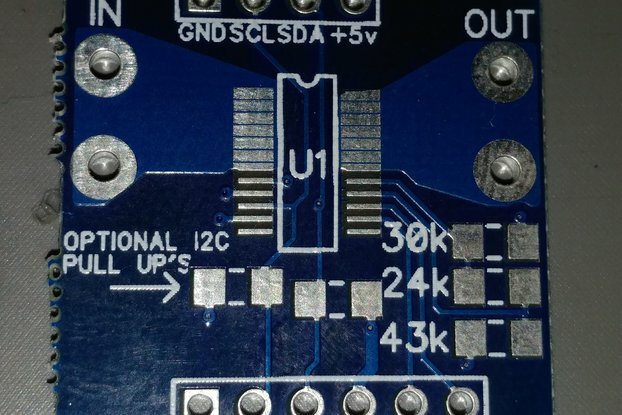 Either by toggling one of the ADOs to HIGH and reading its data, then switching to the next in a round-robin fashion, or by the use of an I2C multiplexer, which allows up to 64 (8 per multiplexer board) separate I2C devices to be controlled by a single master I2C bus even if they all have the same I2C address. These I2C multiplexer boards are available at Tindie too. 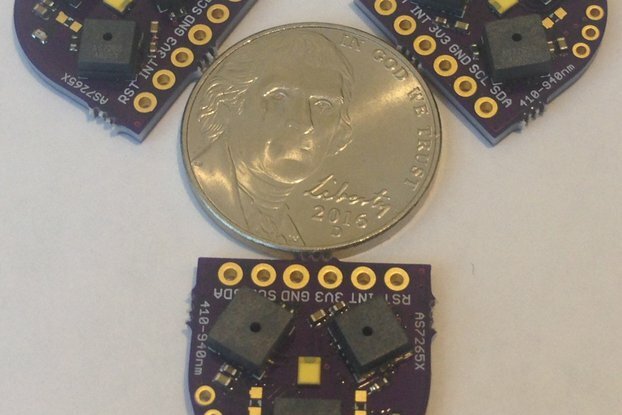 The combination of a fast microcontroller (like the Teensy 3.1), an I2C multiplexer board, and eight of these MPU9250 Nano boards could allow tracking of hands, shoulders, feet and hips and/or allow these movements to trigger various lights and sounds. Just think of the possibilities for your next performance! 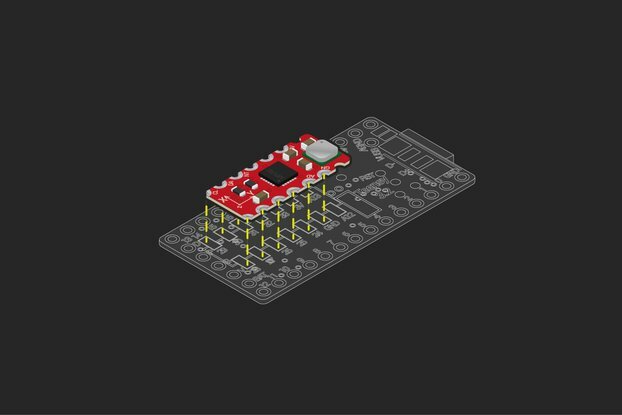 Order the bare pc board from OSH Park and make your own or order the assembled and fully tested board from me and see what wearable motion sensing technology can do for you!